Bastrop County is experiencing the most explosive growth in its modern history as the 9th fastest growing county in Texas. This growth is creating challenges as well as opportunities. People chose to live in Bastrop County because of its peaceful rural character and residents are concerned with how to protect that character while enhancing and improving services and infrastructure. Opportunity Bastrop County is a planning process to develop a vision for the County to guide development in a way that maintains and enhances the quality of life that is attracting residents to Bastrop County. The recommendations found in the Revised Opportunity Bastrop County Executive Summary are based on an extensive public input process and reflect the concerns and priorities of the citizens. 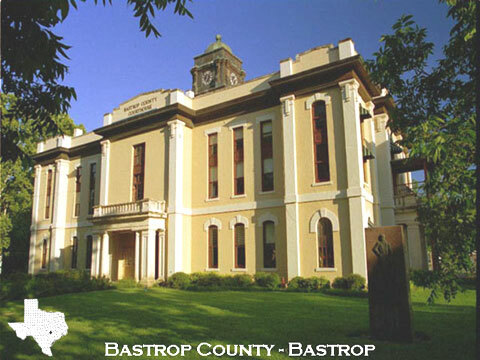 The REVISED Opportunity Bastrop County document was adopted by the Commissioners’ Court on December 10, 2007. The Citizens’ Advisory Committee is now in the process of setting implementation priorities for 2008. The Commissioners Court formed a Steering Committee in 2006 to guide “Town-Hall” initiatives to get citizens’ viewpoint about County growth issues. A Citizens’ Advisory Committee recently completed FINAL Revisions through the work of subcommittees (See Subcommittee Activities below). All committee and subcommittee meetings of the Citizens’ Advisory Committee are public meetings and citizens are encouraged to attend and participate in the process. A Citizen’s Advisory Committee was formed in mid 2006 at the initiative of the Commissioners Court to develop a vision for the County to guide development in a way that maintains and enhances quality of life for citizens of Bastrop County. Citizens were asked to rank the areas of importance. Graphical results of that survey are shown below. 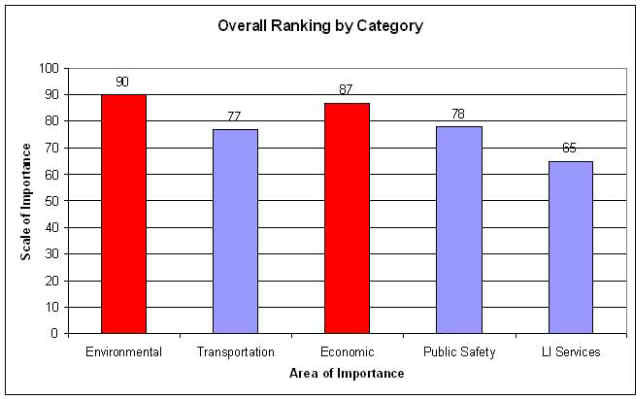 Environment was the #1 most important area of concern.